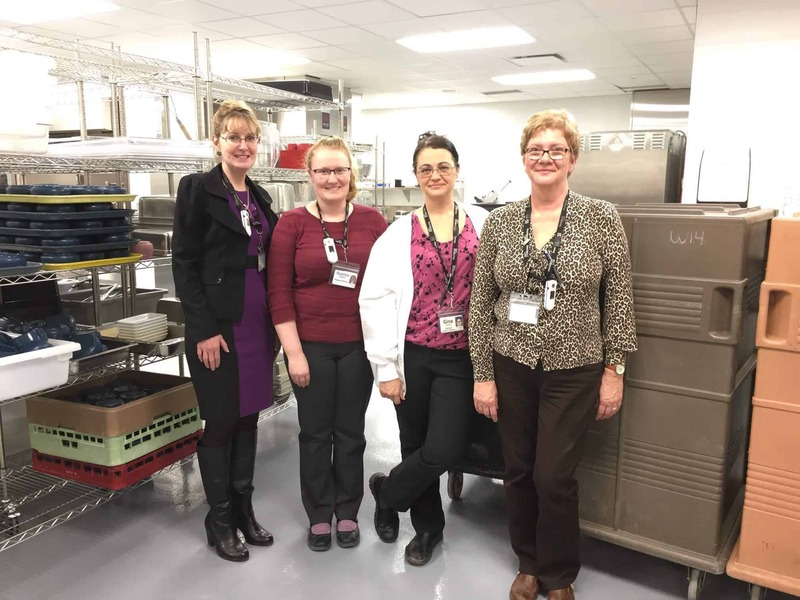 It seems fitting that March is Nutrition Month and just last week, the Food and Nutrition Services department officially began hot food production out of the new hospital. Transportation of hot meals will continue from Providence Care Hospital to both Mental Health Services and St. Mary’s of the Lake Hospital until the inpatient move occurs on April 23, 2017. Making this transition ahead of the inpatient move allows Food and Nutrition Services a period of time to implement the Dining Room Model for move day. The Dining Room Model approach to mealtimes offers patients and clients more flexibility and recognizes the importance of healthy, enjoyable food to overall health. Inpatients will be able to choose from available food options at point of service in the Dining Room on their unit. Sensations such as smell and appearance of food can influence an individual’s eating choices, and through this model inpatients are able to experience the pleasurable and restorative effects of a good meal. “We’re really excited by what this will mean for the people we serve. They’ll be able to see their menu choices as they come in the door of the Dining Room, and those individuals who can go to the food servery themselves will be able to do that. Those who need assistance will receive staff support – it will be centred around the patient and his or her own needs,” explains Paula Ormsbee, Director, of Logistics, Food and Nutrition Services. This move has been weeks in the making and a large task as part of the process involved moving food from existing sites to Providence Care Hospital. Not only do staff have new standards and procedures to adhere to in terms of production, but they also needed significant training in order to use the brand new equipment that is in the kitchen. “We have been working around the clock to assist the staff in this transition. On the first day we started food production at Providence Care Hospital, I watched the cooks and it was like they were at home already,” explains Paula. 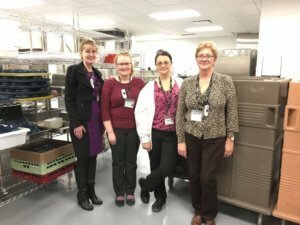 Our Food and Nutrition Services department is excited to continue the production of quality, healthy food in the new full production kitchen. The next phases for the team include introducing a new staffing position (the Logistics and Nutrition Assistant) with new dispatch technology that will be rolled out in the coming months. Thank you to the entire Food, and Nutrition Services department for making this transition look easy!